Oregon has become a refuge of sorts for many people over the years. Most recently, it has become a refuge for those seeking the liberty to use cannabis as a medicine, a liberty not offered in over half the states in the nation. For S, like Anna Cann, were persecuted for using it in their previous state, and came here to avoid the unfair and unwarranted treatment. In her case, she has turned it into a livelihood, and done so in a state that is nearly overrun with cannabis business start-ups. Anna’s story is one that begins in Idaho and ends in Oregon. Idaho seems to be a source of cannabis refugees, fleeing one after another. Oregon Cannabis Connection contributor “Radical” Russ Belville is an Idaho native, and proud of it, but he won’t live there since he would be a criminal in their myopic eyes. Anna is another who refused to be criminalized for using cannabis, and came to Oregon for that reason. On August 3 , 1999 in Boise, Idaho, Anna’s 17-year-old babysitter violently shook her then six-month-old daughter, Savana, while Anna was at work. As a result, Savana was subjected to two brain surgeries in less than a month. The permanent damage she suffered, called shaken baby syndrome, resulted in debilitating brain damage and frequent, severe seizures. The doctors told Anna that Savana’s brain damage was similar to that from a fall from a ten-story building. The incident changed Anna’s life forever, not only because her daughter was so terribly injured, but because she was left exposed to accusations of abuse due to the presence of cannabis in her home. Anna was portrayed in the local media as unfit and treated like a criminal by authorities. Though the babysitter was eventually convicted, she served well under a year in prison for the assault on Savana and was released on probation. However, she ended up serving substantially more time due to parole violations. She now has at least three children of her own, all wards of the state. Early in 2011, Anna decided to move to Oregon where she could safely use cannabis and be treated with more dignity. She relocated to Eugene where she continued selling tie-dye shirts, a skill she learned in Idaho that transferred well to Oregon. Her choice of colors are unique and her skills amazing! 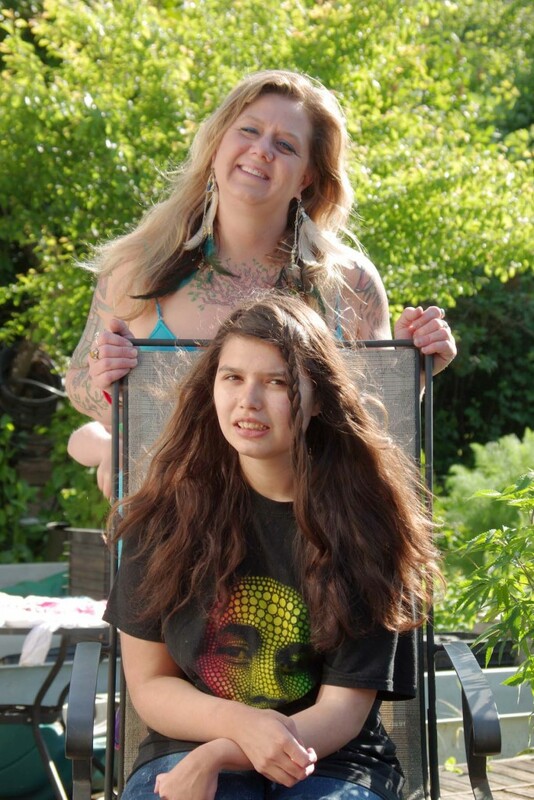 She eventually got a booth at the 2011 Emerald Empire Hempfest in Eugene to sell her apparel, and while she was there met a vendor who strongly recommended that she have her daughter, Savana, try cannabis to help alleviate her frequent seizures. Since Savana’s medication at the time, valproic acid ( similar to Depakote), left her with dozens of side effects, Anna thought it was probably worth a try. Savana’s seizures have been reduced dramatically over the past three years. They no longer occur while at school, since Anna determined the proper dosage to get her through the school day. She typically medicates her every four or five hours. The results have been dramatic, and again life was changing for Anna. The results made her more dedicated than ever to medical cannabis! Savana Smiles strain (A 1:1 CBD to THC ratio strain) created for Anna’s Savana. She now organically grows her daughter’s medicine herself, so she has ultimate control over the final product (Three parts THC to one or two part CBD). Anna’s experience also got her more involved in the cannabis movement. Investors approached her recently about her products, due mainly to her social media activity and activism. She produces a medical topical lotion, which is sold in local Oregon dispensaries, and a medicated soap product, too. It has proven to be a fortuitous game-changer for her. As a result of her relationship with Nachman, Anna has teamed up with a few new investors. Big Grow House unit. The prices start around 100,000 each. Image Big Grow House. Mark MacAuley, with Big Grow Oregon, was one of those referred to Anna Cann by Nachman. 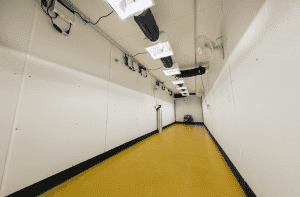 Big Grow is setting up a large processing facility and indoor grow in Eugene. The space will eventually use their grow containers, the Big Grow House. 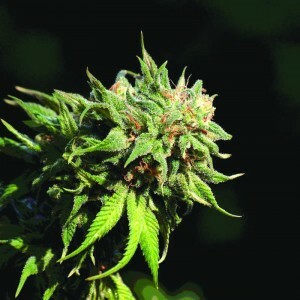 They intend to produce high-end medicine that will include flower and topicals, in partnership with Anna Cannabis. “Our first goal is to extract oil and then make the lotions, soaps and topicals,” explained MacAuley. Their space will have the capability of housing up to 20 Big Grow House units, but that will not be immediately. So, after being inexcusably harangued in Idaho, and effectively blamed for her daughter’s abuse by another because of cannabis, Anna finds herself using cannabis to treat that daughter more effectively than the prescription medications did. After leaving Idaho for a safer place, Anna Cann now finds her cannabis involvement possibly being more than a side job, but the fulfillment of a dream.